On this day, 30 June, in 1940 the Germans invaded the Channel Islands which was the beginning of nearly 5 years occupation. In this week’s blog I’m using some of the Library’s online resources to find primary source material to discover more about this facet of the Second World War. 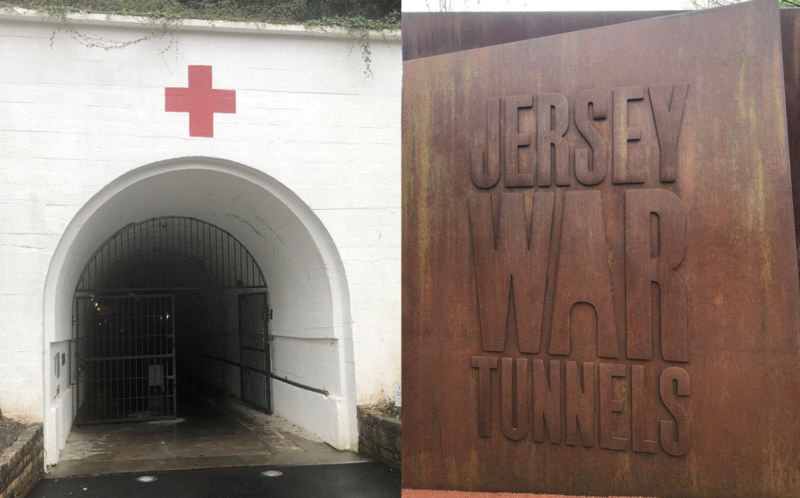 I recently had the opportunity to visit the Jersey War Tunnels, one of Jersey’s many tunnel complexes built by mostly forced and slave labour under German command during the occupation.I have to admit that before that visit I really knew very little about this period in the Channel Islands history but I was inspired by the incredibly moving and fascinating exhibition to try and find out what primary source material was available to us through the University Library’s fantastic online primary source collections about the occupation. There are many stories that could be told about the Channel Islands occupation and I encourage you to seek them out but due to the nature of our online primary source collections and time limits I’m focusing on what the outside world, mainly Britain, knew (or didn’t) about what was happening on the Channel Islands during the occupation. The first half of 1940 was a dark time for the Allies in the Second World War. In fairly quick succession Denmark, Norway, Belgium, the Netherlands and France were invaded by Germany. With the evacuation at Dunkirk (Operation Dynamo) and France, faced with no real other choice, signing an armistice with Germany in June of that year, Britain was now on its own and under threat. 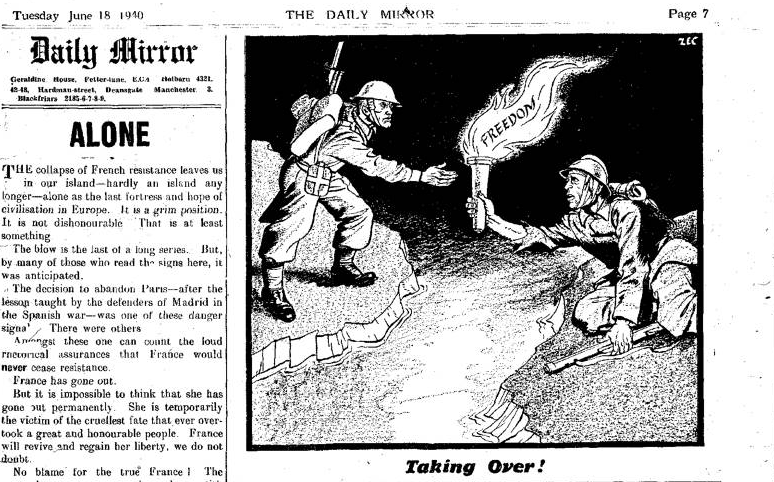 The Daily Mirror, Tuesday, 18 June 1940, p. 7. UK Press Online. Accessed 25th May 2018. I’m pleased to let you know that thanks to a request from a student in HCA the Library now has trial access to Scottish nationalist leaflets, 1844-1973 from British Online Archives. This primary source collects together pamphlets relating to Scottish nationalism printed by the Scottish National Party (SNP) and their predecessors. You can access this online resource via the E-resources trials page. Access is available both on and off-campus. Trial access ends 4th July 2018. I’m very happy to let you know that following a successful trial earlier this year and further to requests from students and staff in HCA the Library has a 1-year subscription to the Irish Newspaper Archive. This is the largest online database of Irish newspapers in the world covering nearly 300 years worth of history.